Wang Hai placed bulk orders for products he knew weren’t real. Like millions of Chinese consumers, last week’s Singles’ Day event saw Wang Hai racing against time to snap up discounts on the country’s online shopping platforms. But unlike others looking to close China’s biggest annual shopping day with a bargain, Wang had decided to spend close to 1 million yuan ($145,000) on fake products he found online so that he could claim compensation of up to 10 million yuan. Wang is one of China’s fake goods hunters — people who deliberately buy counterfeit products and then claim back compensation from the companies who make them. Wang started researching his Singles’ Day purchases back in September. He and his team bought small batches of suspected fake goods, mainly food, which they tested both by themselves and in a professional laboratory. By Nov. 11, they had narrowed down their selection from over 100 products to just a dozen. They then put in bulk orders for each one. According to a 2015 revision of China’s Food Safety Law, consumers may demand additional compensation worth three times the amount of losses incurred, or 10 times the price of the product deemed not to comply with food safety standards. This year, Singles’ Day sales numbers broke online spending records across the country. The total sales on online platforms on the day of Nov. 11 hit 180 billion yuan, of which Alibaba — China’s e-commerce giant — contributed 122 billion. Li Tingxuan, a spokesman for Alibaba, declined to comment on fake goods hunters like Wang Hai. “Alibaba has invested significant effort and resources to fight counterfeit products,” he told Sixth Tone. Wang chose to buy up large quantities of baijiu — a kind of alcoholic spirit made from sorghum — meat, and health care products. Their value was nearly 1 million yuan. “We bought a huge amount of these products online because initial test results issued by two different laboratories showed that there was something wrong with them,” Wang told Sixth Tone on Friday. 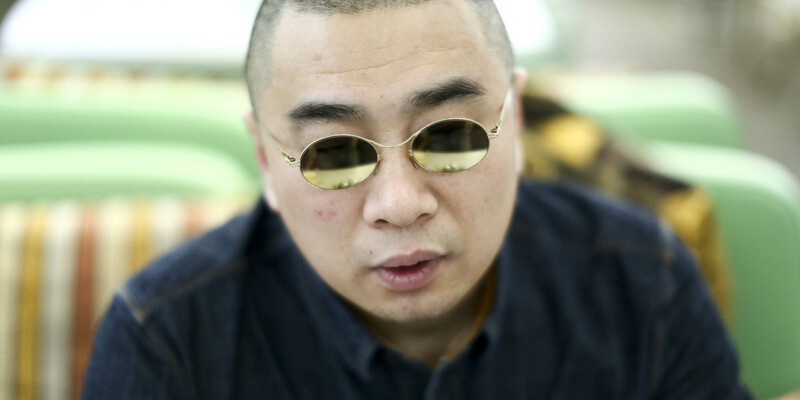 Over the whole year, the team expects to successfully claim compensation worth 7 million yuan, he said. Qiu Hengyu, a lawyer at Yingke Law Firm in Guangzhou, told Sixth Tone on Friday that in reality, it is difficult to distinguish between purchasing something for profit or for personal use. Wang agreed that a consumer’s true motives are hard to prove and argued that money received from buying counterfeit products should be seen as compensation, not as profit. “Lawmakers don’t think fake goods hunters are the real consumers and they believe only the government has the power of penalties,” Wang said. “However, the government lacks the manpower to crack down properly on fakes,” he concluded. Additional reporting by Wang Lianzhang.